A repeat of the day before with catching the bus and heading back to Bergen for more exploring, this time the KODE. 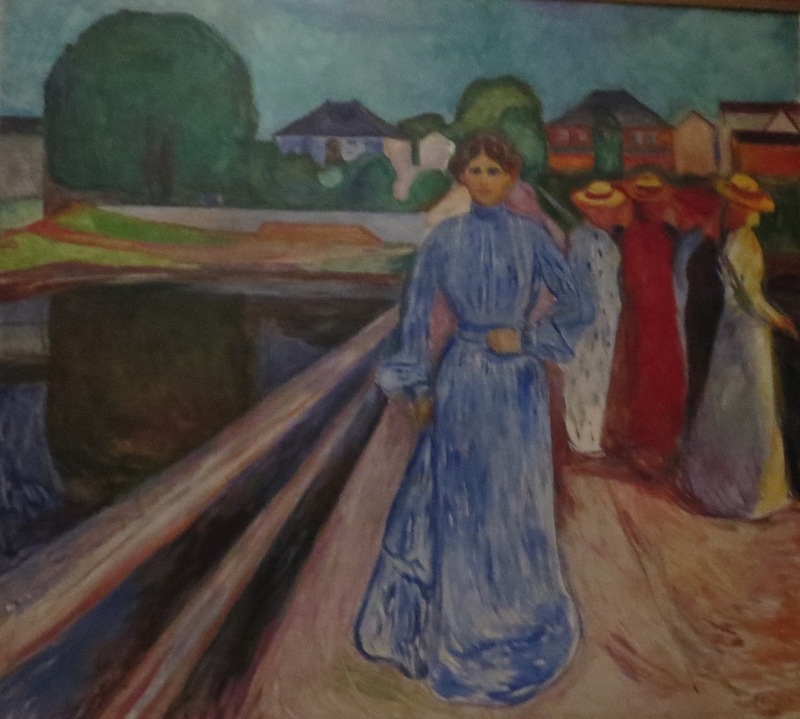 Many of Bergen’s art museums are on the south side of Lille Lungegardsvann (a beautiful oasis in the town center, which the previous day we strolled by under blue skies). 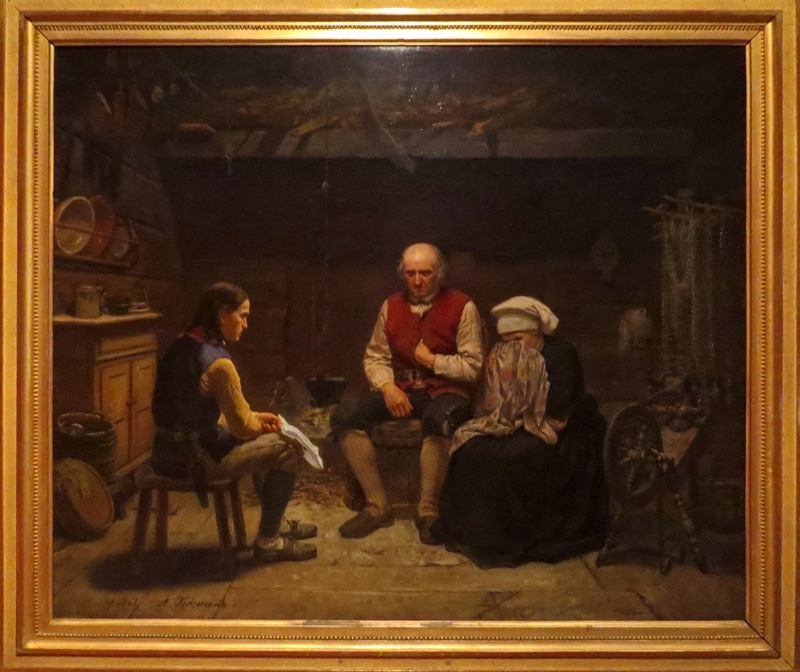 the Rasmus Meyer Collection showcasing Scandinavian artists between 1760 and 1915. With our 48-hour Bergen Card (good deal for visiting multiple sites) we entered the first building we came to, which featured the first two collections mentioned above. So began my immersion into some beautiful and interesting art. 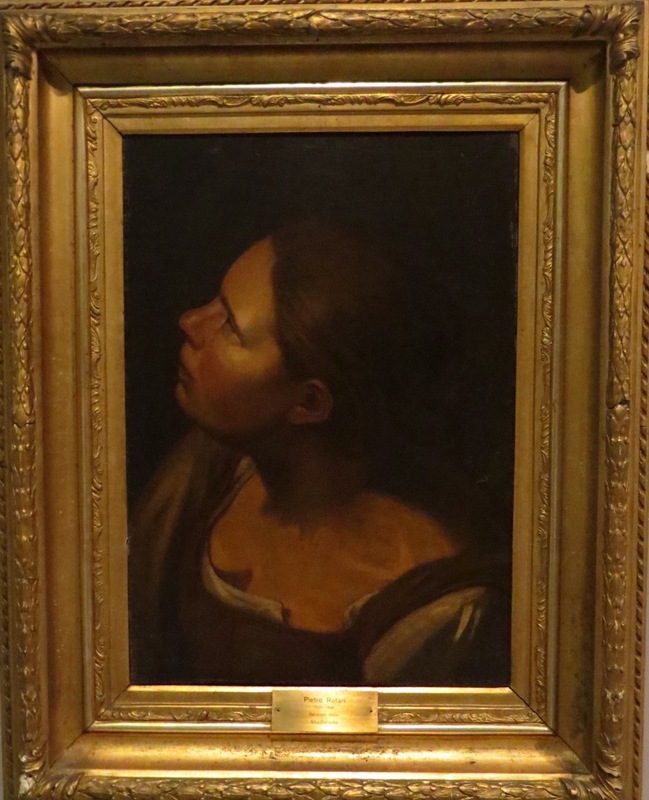 And, I have to put a caveat here: If I have identified any of the following paintings incorrectly, please let me know. Honest! I won’t take offense! 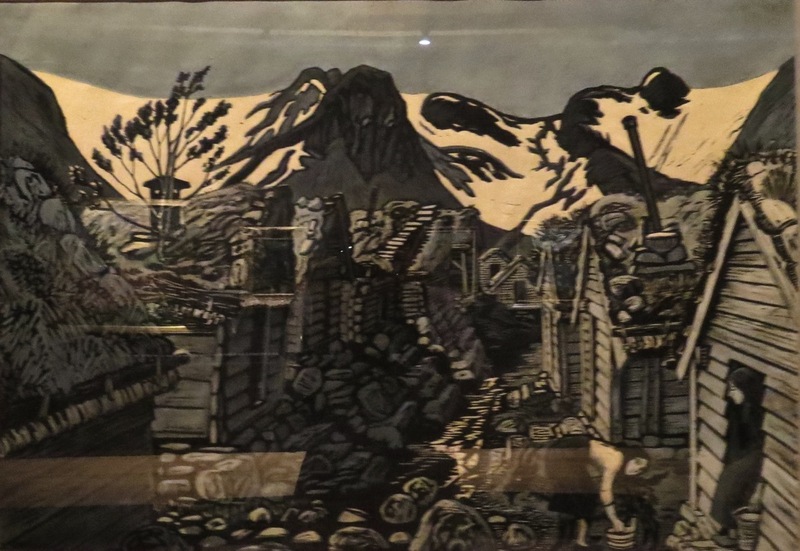 Our first exploring took us to one of Norway’s most famous artists, Nikolai Astrup (1880-1928), who also happens to be a particular favorite of Elisabeth’s (of Elisabeth and Gunnar). 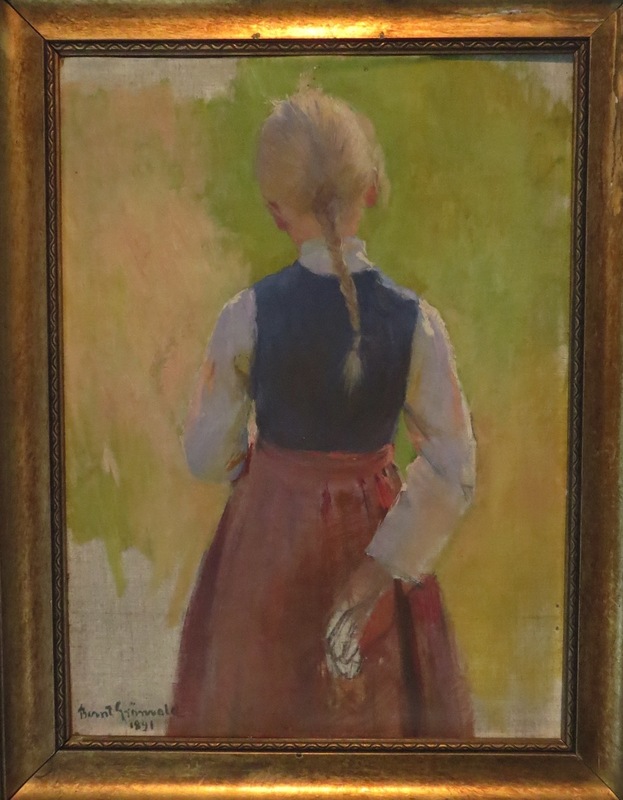 We discovered later they had a personal connection to this artist since Gunnar grew up around Jolster, the artist’s native village. and, Eric Werenskiold (1855-1938), a popular illustrator of Norwegian folktales. 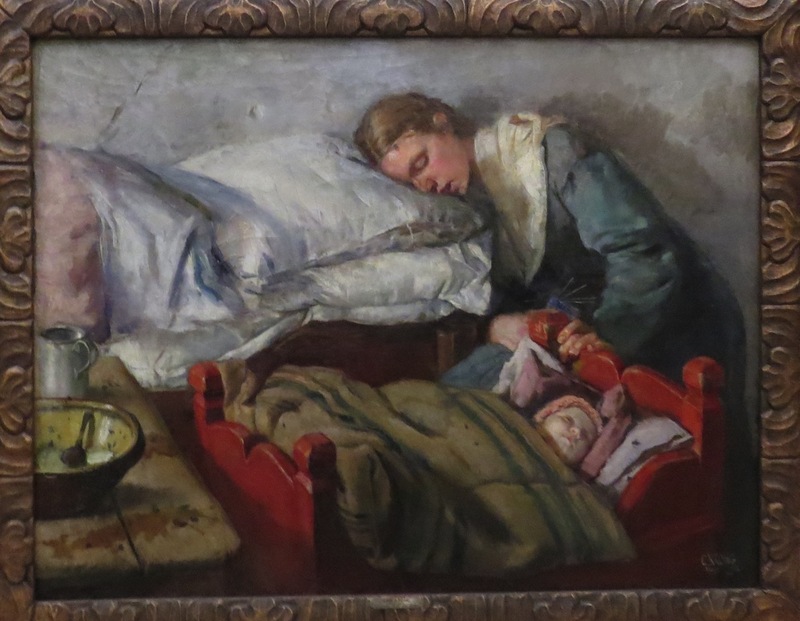 Unlike so many pretentious write-ups of museum art causing me to mutter under my breath while figuratively–sometimes literally–rolling my eyes skyward, this curator wrote refreshingly direct explanations of an artist’s work. 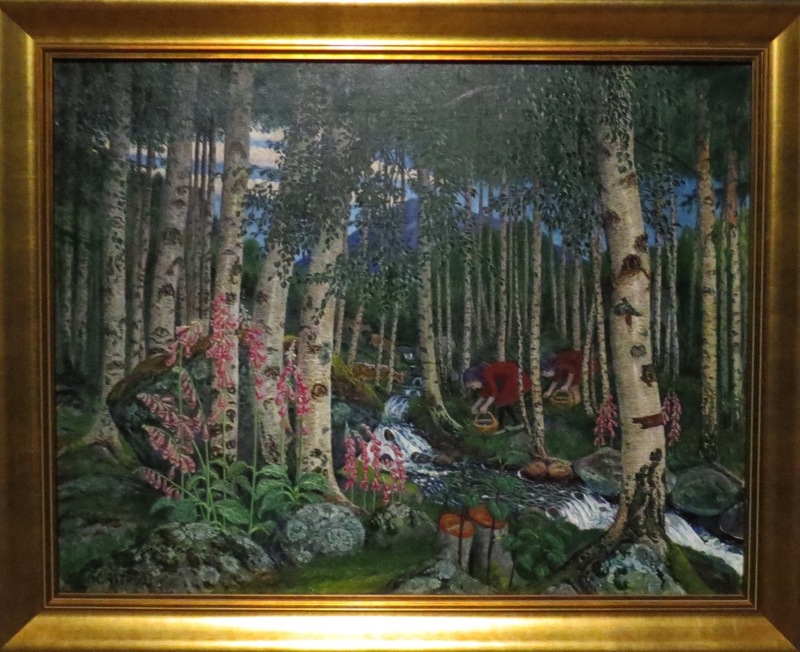 The curator described Astrup as one who “positioned himself between two opposing art movements of the period: academic landscape painting and modernism’s focus on the artist’s individual impression of nature. His aim was to to create art that was genuinely felt–and imbued with human atmosphere”. 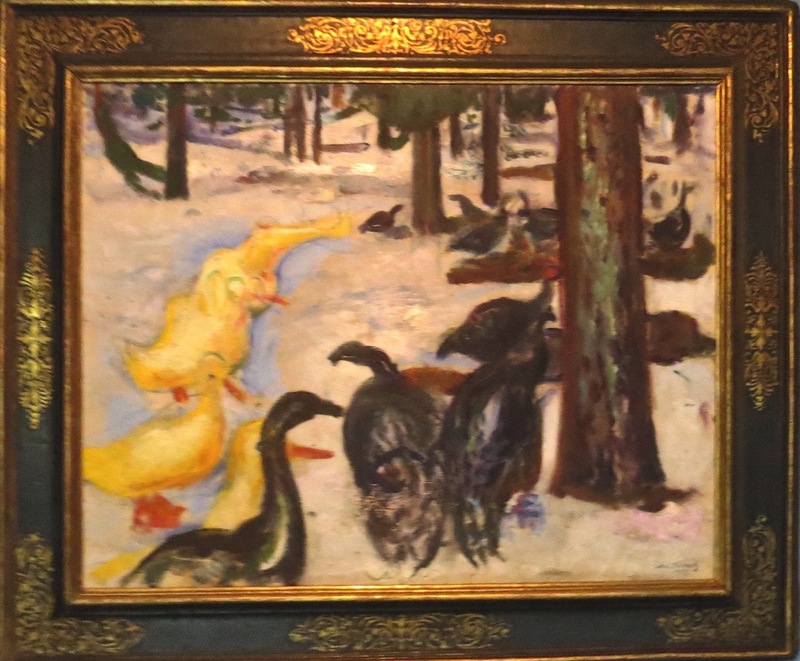 Astrup believed “an artist should see nature as a child would”. 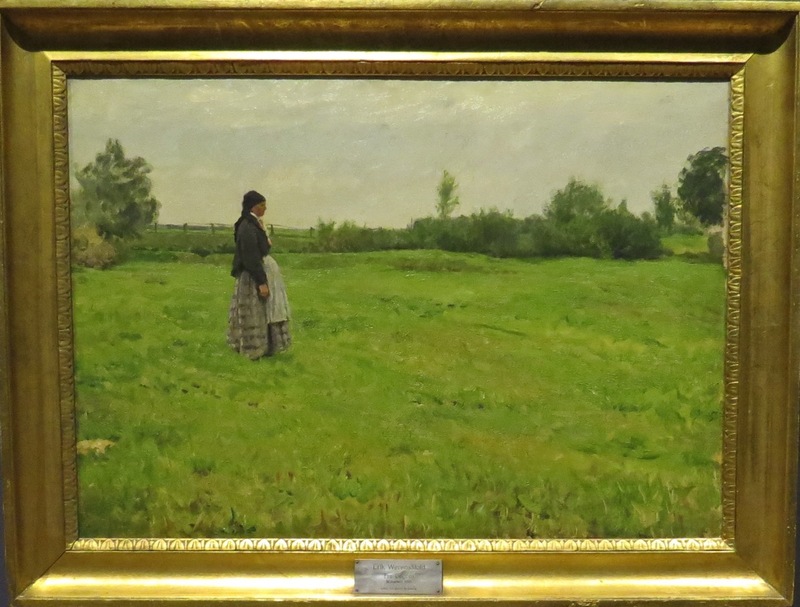 Interestingly, when gazing at Astrup’s paintings I noticed the landscape first and then spotted a human figure. I particularly liked his woodblock prints. 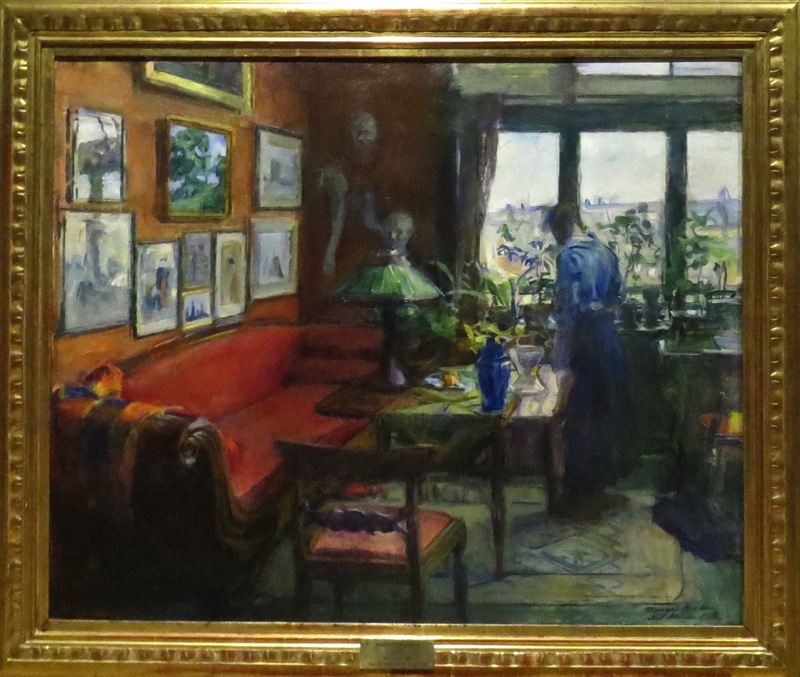 His still-life interiors, not as much as the others. But, art is subjective, and I only see it through my eyes. 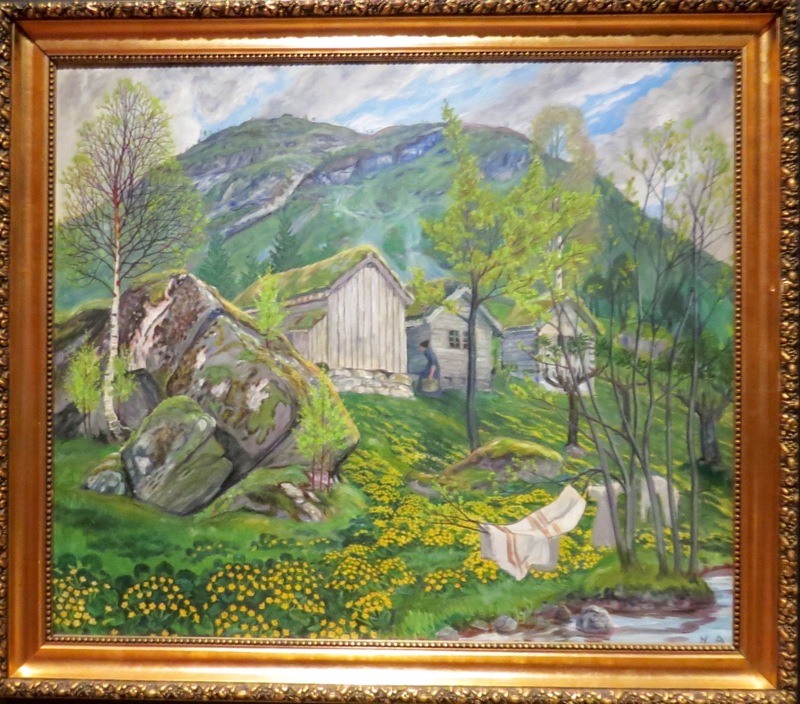 Not many artists received recognition early in their careers or, for that matter, when living; but, Astrup did. 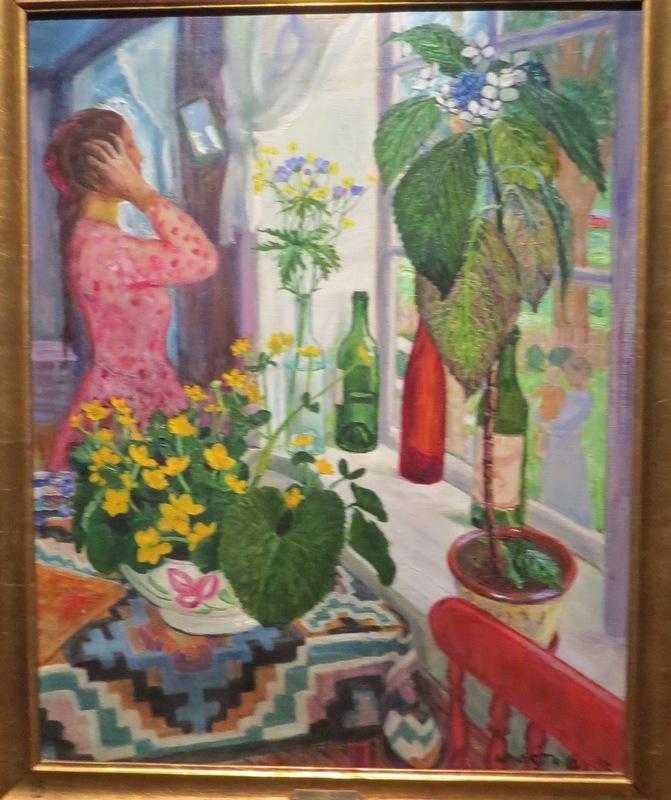 Invited by Erik Werenskiold to participate at a Norwegian Art Exhibition in Copenhagen, Astrup was identified “as one of the most promising artists of the younger generation”. This information along with other factual nuggets, such as his being a student of Harriet Backer’s, were featured in a timeline. Leaving Astrup, we each began exploring other rooms. 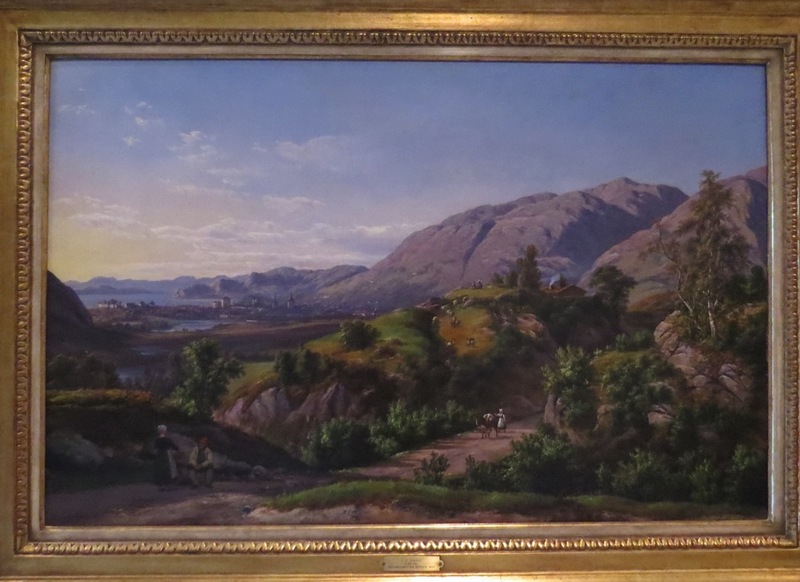 I wandered into one featuring “Norway’s first world-class painter”, J.C. Dahl (1788-1857). 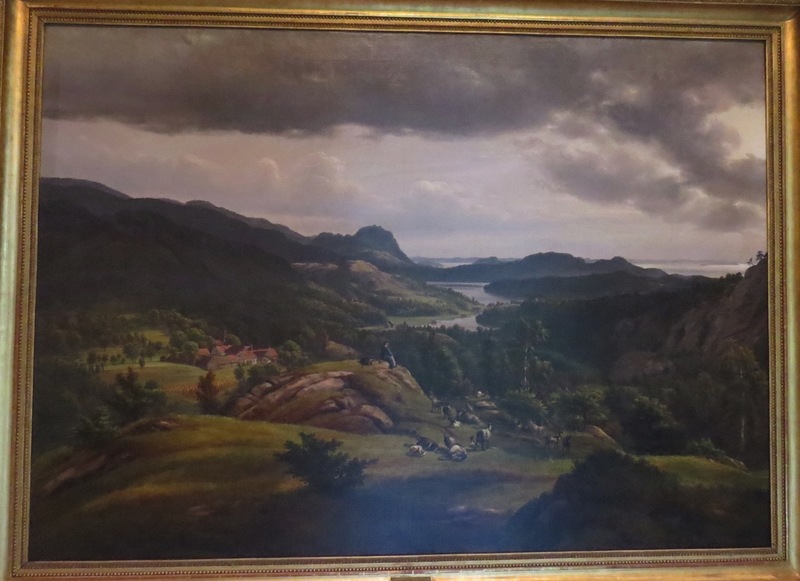 His romantic view of his country’s landscapes are said to have influenced today’s current marketing of Norway as a tourist destination. 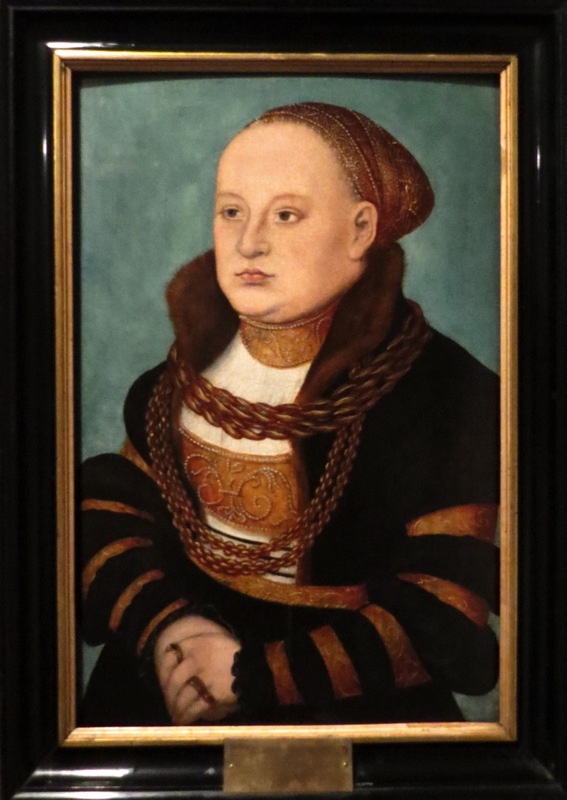 Recognized the artist’s name… By the German painter Lucas van Cranach the Elder (1472-1553) who also did portraits of his friend Martin Luther and whose works we saw in Wittenberg, Germany, in Fall 2014 (another small-ball-world connection). 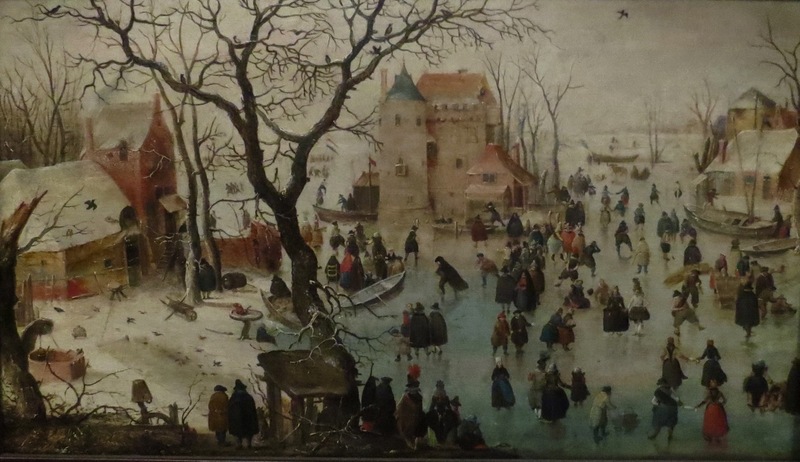 The possible story-telling found in each vignette… By Hendrick Avercamp (1585-1634), a Dutch painter whose detailed capturing of little vignettes appears similar to the allegorical vignettes we’ve seen by the father-son painters, Pieter Brueghel the Elder and the Younger. 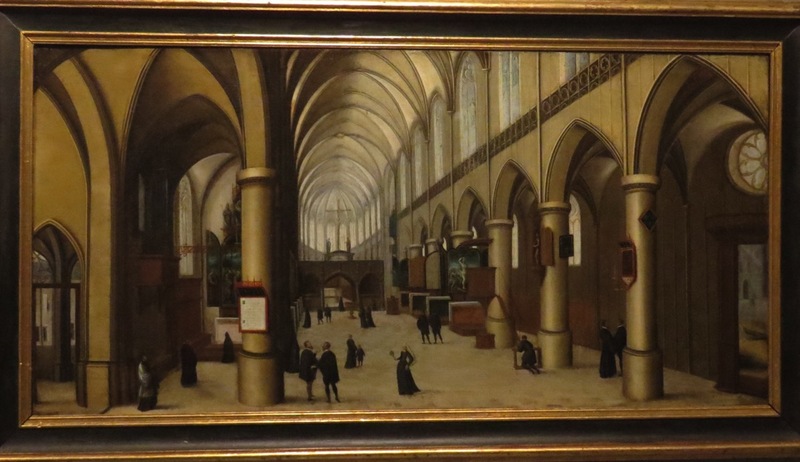 Thought we had seen his work in the Frans Hall Museum in Haarlem, but checking later, that painting was by Pieter Saenredam (1597-1665)… By Hendrik van Steenwijk the Elder (1580-1649 ), a Flemish Baroque painter of architectural interiors, and whose work we had seen in Haarlem. The expressive tilt of her head… By Pietro Rotari (1701-1762), an Italian artist whose patrons included royalty such as Catherine II of Russia. 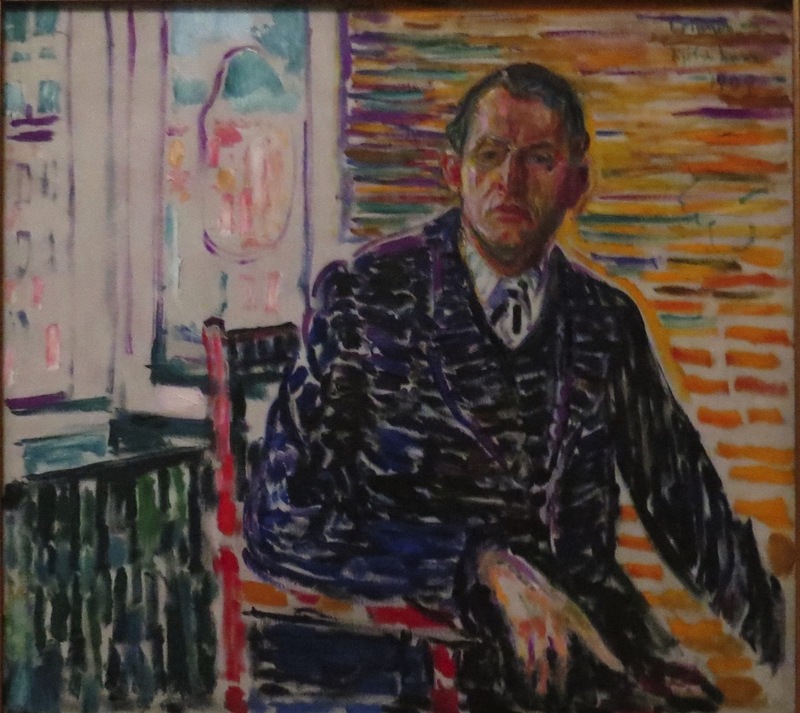 Two collections featured work by the Norwegian artist Edvard Munch (1863-1944). 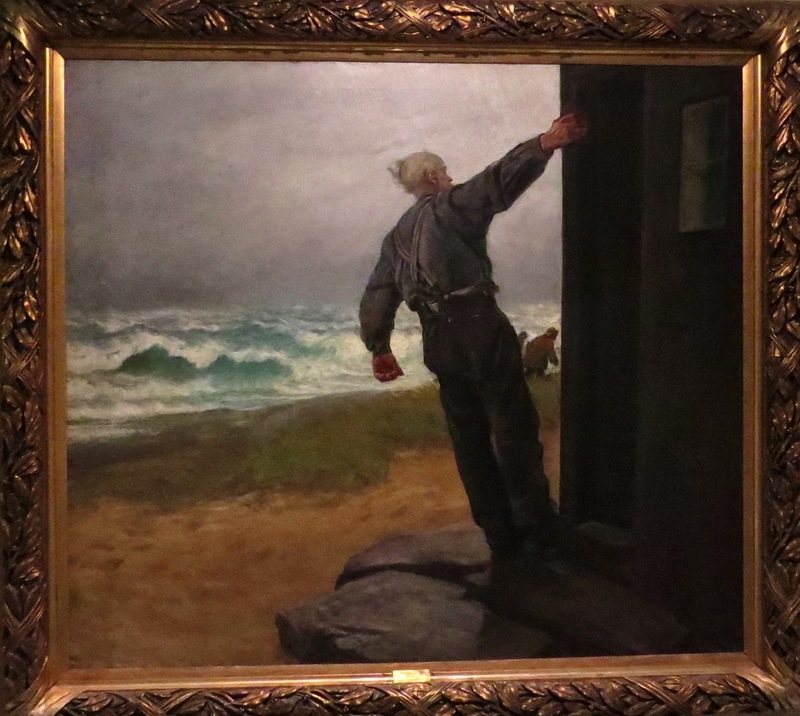 Only knowing Munch’s famous “The Scream” painting, I enjoyed seeing more of his art and learning a bit about his background (such as taking instruction from Christian Krohg, one of those Big Three mentioned earlier in this post). Both Max and I ended up selecting a favorite of what was exhibited. Max’s because the tree’s form reminded him of the hand’s holding the head in “The Scream”. At this point we needed to meet someone at one of the museum’s cafes several doors down; and, how this came about was due to our meeting Marit back in Rosendahl (she’s the one we said good-bye to on the pontoon when we left for Os). 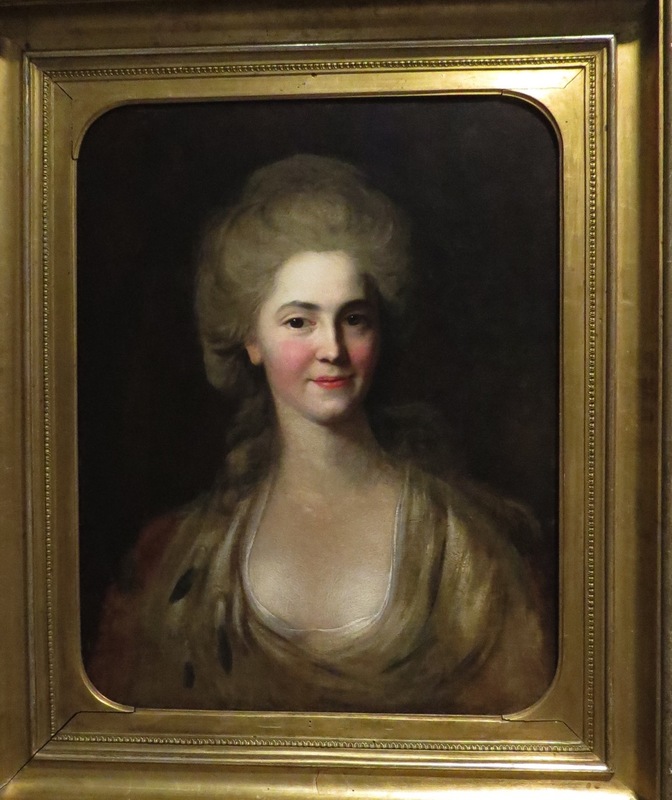 In that post I had mentioned she and Even had some friends aboard, one of whom had written a book marrying poetry and knitting. In mentioning I was interested in seeing her book, Marit put me in touch via email with the author, who lived in Bergen. Which is how Max and I came to meet Irene Nygardsvik. With a background and career in finance, Irene found herself questioning the role of creativity in successful businesses. During the next hour we discussed the evolution of her book, WORD BY WORD, ROW BY ROW. In addition to her writing, her knitted throws are lovely in their blend of colors and simple elegance. She could sell those along with her book, as has been suggested by others as well! Meeting her was yet another gift during our Norwegian summer, one we’ll fondly remember. 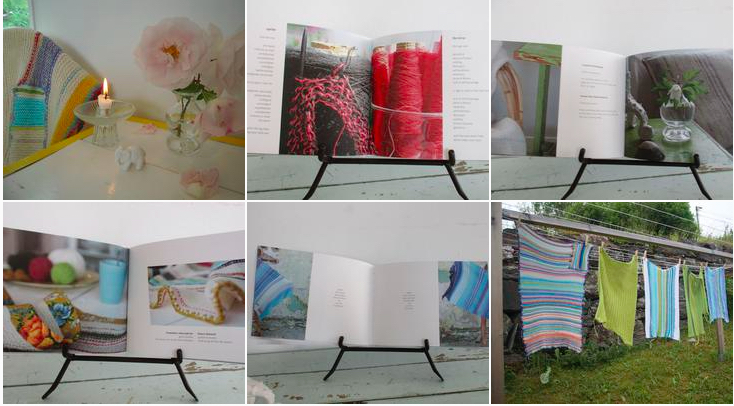 Plus, her book is gorgeous (http://www.spekulatoriet.org). After an hour we left, she for home and Max and I for one more quick dash into Munch’s world. Knowing we could spend tons more time but aware, too, of needing to get back to JUANONA, we retraced our steps back to Os where we had a totally unexpected surprise. We had kept in touch with Gunnar and Elisabeth with Gunnar stopping by later early evening. He arrived with a ribbon-tied bag, handing it to us as he stepped aboard. As we unwrapped it, he said this was the most natural gift to give someone visiting Os. And, we were stunned. It was one of those lovely, ceramic boats by the Scottish artist whose gallery we had visited several days before. What could we say? I think I can speak for both Max and me in that we were speechless. All we could do was say they must come to Maine to see their gift hanging in our home. And, it’s not that we have such a beautiful reminder of our time in Norway. It’s ever so much more. Our time here was magical, one we’ll never forget. This entry was posted in 2016 07 NORWAY - South, 2016 Summer Cruising, COUNTRY, Europe, Norway, SUMMER CRUISING on July 22, 2016 by margaretlynnie.